It’s the end of an era in Cincinnati. 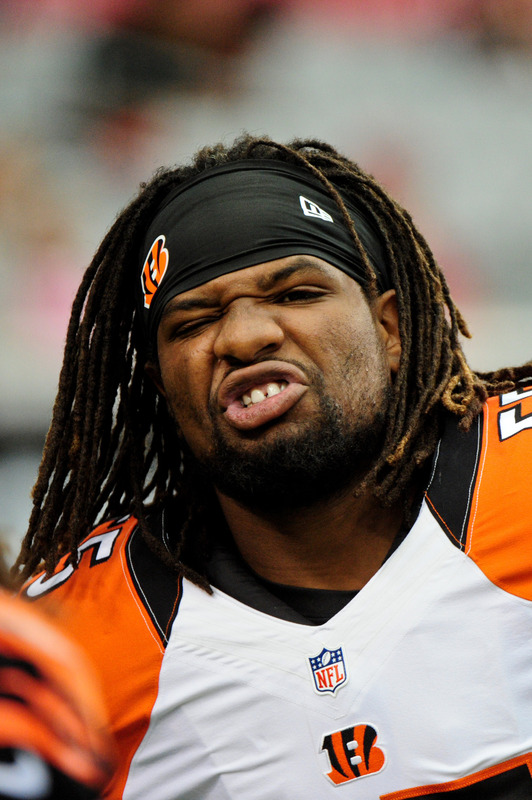 On Monday, the Bengals released linebacker Vontaze Burfict. Burfict, one of the league’s most controversial players, has been a pillar of the Bengals’ defense throughout his seven year career. Over the years, Burfict has helped to anchor the Bengals’ front seven with his hard-hitting style. Unfortunately, his aggression blurred the line when it comes to rules and safety regulations. In seven seasons, Burfict racked up whopping 14 total fines and/or suspensions from the league office, including three times in 2018. Last year, his sanctions resulted from PEDs and hits on Antonio Brown, James Conner, and Andy Janovich. All in all, Burfict lost $4.2MM and ten games for his violations. By releasing Burfict before the final year of his contract, the Bengals will take on $1.8M in dead money. However, they’ll save $5.5M on this year’s cap. Meanwhile, Burfict should find a decent market for his services, though you can expect teams like the Steelers to pass on him given their history together. Burfict, 29 in September, went undrafted in 2012 thanks to a bad showing at the combine and rumors of a failed drug test. Quickly, Burfict proved that belonged in the NFL. As a rookie, he compiled 127 stops in 16 games (14 starts) and followed up with a Pro Bowl nod and a league-leading 177 tackles in his second pro season. When on the field, Burfict is a bonafide difference maker as a middle linebacker. But, because of his issues, Burfict may not garner offers with guarantees beyond 2019 like many of his MLB counterparts have this offseason. Maybe the Chargers, Broncos or Chiefs will sign him so he can headhunt AB over the middle several more times per year. NFL GM’s: Ignore this guy. Keep him out of the league. That thug should’ve been out of the league years ago. Shocker. I wondered how long it would take before the T-Word would get thrown out there. Shocker? You have another word you want to describe him with as a player? Yeah about 25 years late to the NFL. He would of been beloved if he played before CTE. And that’s not an opinion. You can look at some of the most respected tough guys in history. I’m not defending him don’t agree with his actions. What do you call a person like Burfict then? Sweetheart? Very possible landing spot. Raiders strike me as another possibility. But I also think it’s very possible that no one signs him. Not only does he have the track record of fines and all around bad publicity, but he also has had a bad string of concussions and other injuries that may help scare teams away. As the hater that I am it would make me so happy if he wound up on the Steelers. As the Steelers fan I am I can confidently say two things: it won’t happen, and if it did I would be strongly tempted to change my allegiance to another team despite my having rooted for the Steelers for close to 40 years. I don’t think I’ve ever disliked a player as much, and try as I might to be open minded I can’t excuse his history. That’s why I said the hater in me, I have so many friends who are huge Steelers fans and I know the absolute intense hatred they have for him. I know it won’t happen because they’d have a riot on their hands. It also won’t happen for practical reasons. They just signed Steven Nelson, Donte Moncrief and Mark Barron so they are likely at the moment too close to the cap to afford Burfict. And after the Ladarius Green debacle they are likely going to steer clear of any free agents with a history of concussions, which Burfict has. But yeah, hordes of torch-bearing fans would be outside of Steeler offices if they signed Burfict. Ben will be the 5th best QB of all time.. AB (was) on pace to be #1 WR all time..
Bell is a heck of a running back..
WRONG! One year after offseason surgery. Who can forget when this bozo and Pacman Jones cost the Bengals a playoff win against the Steelers when they couldn’t control their emotions. Jeremy Hill cost the Bengals that game. None of that happens if he runs the clock out. Right…. a guy with no criminal record will all of sudden turn into a criminal. For as dirty of a player he is, at least he understands when a woman says NO. Shouldn’t you be stalking Bell’s & AB’s social media accounts, like the rest of the classless Steelers fans? Then again, You probably already are. Not once has he had any off field issues with the Bengals fool! I normally don’t say things like this but I genuinely hope he doesn’t get signed. The league is a safer place without him. He is no longer a difference maker in a positive way. As a Bengal fan, seen him miss too many tackles the last couple seasons because he’s only head hunting, doesn’t even try to wrap up. Good riddance! If he gets another year, the team will regret it. I doubt anyone signs him tho. Burfict has no place in the NFL. He attempts to end careers and inflict life changing damage to players. What he does has been illegal in all eras: head hunting, twisting ankles of downed players, etc. The league as a whole would be better without him. Finally!! I could not be a Bengals fan while they had players like Burfict and Pac-Man on the roster. Now I can with good conscience root for them again even though they will likely struggle for a few years. I can not condone his actions on the field. This is just the type of player Dorsey might go for, especially considering the need for ILB help in Cleveland. So Burfict still has some credibility among some of you fans. What does that say about you? Forget about right or wrong, JuJu’s hit on Burfict was fantastic.